Fachgebiet Audiokommunikation: WhisPER. 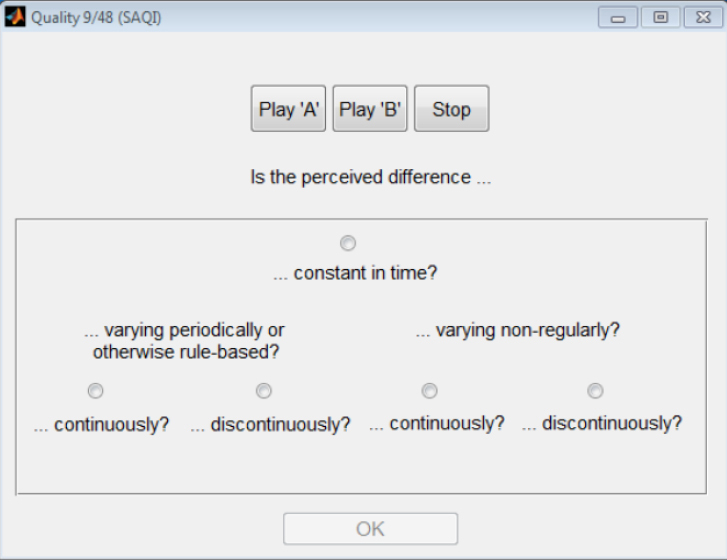 Listening Test Toolbox for Matlab. Fachgebiet AudiokommunikationWhisPER. 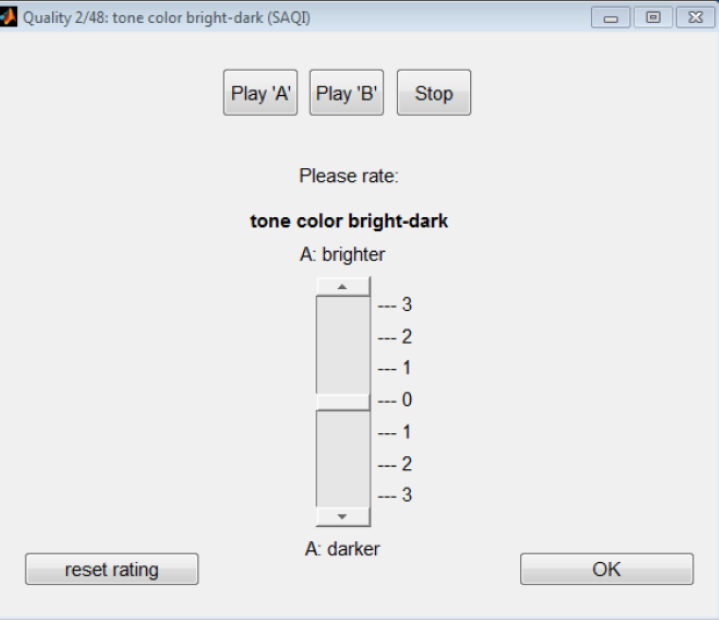 Listening Test Toolbox for Matlab. WhisPER. 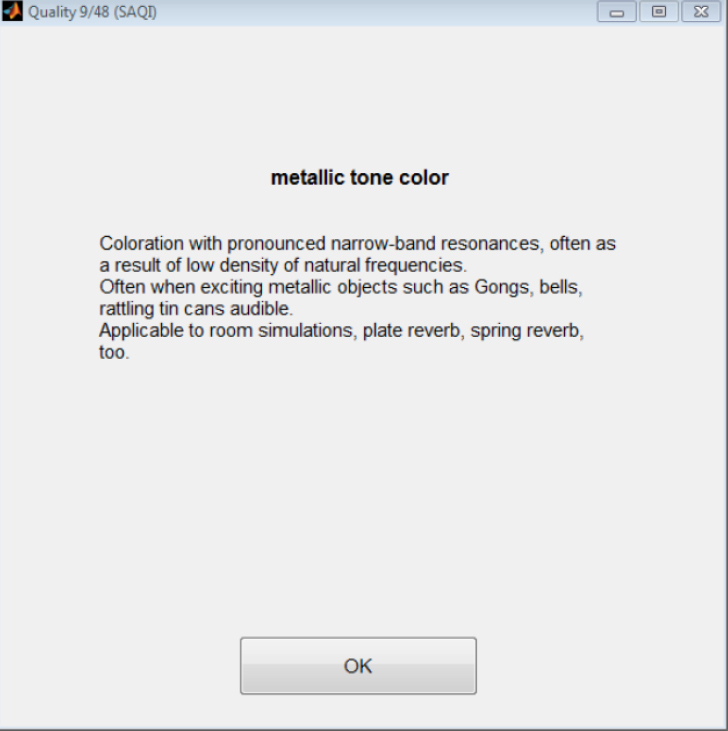 A MATLAB-based software package for performing listening tests. WhisPER is a Matlab® based software package for performing experiments in the field of perceptual audio evaluation and psychoacoustic measurement. It was originally developed by André Wlodarski and Simon Ciba in the course of graduate theses at the audio communication group. the ability to control complex sound reproduction environments utilizing the OpenSound Control (OSC) protocol. WhisPER will be further developed by the audio communication group. Future work might include evaluation as well as upgrades by new test paradigms. Any questions about WhisPER can be directed to Alexander Lindau or Fabian Brinkmann. remote controlling playback environments by sending up to 6 OSC commands per stimulus. Display resolution of at least 1280x800 pixels. WhisPER is free software published under the GNU license. The project features an extensive user's manual (English) which should be consulted before using the program. Note further that evaluation and testing of WhisPER has not yet been entirely completed. If you notice any bugs please report them to us so that we will be able to fix them. Sie sind hier: WhisPER. 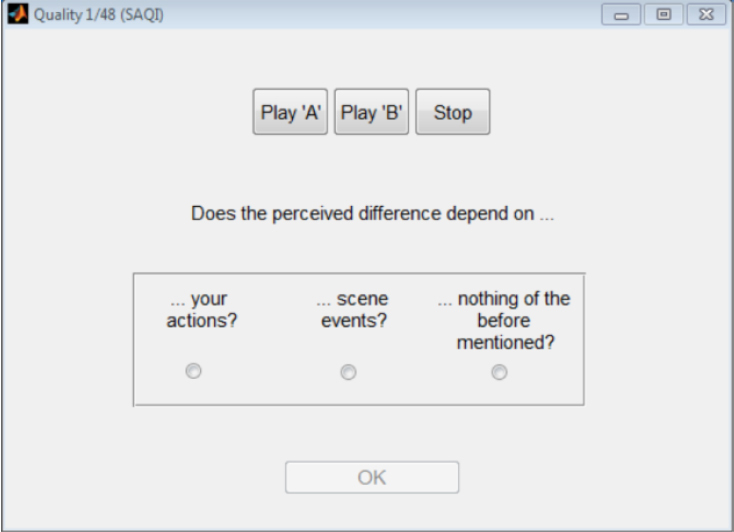 Listening Test Toolbox for Matlab.